VANCOUVER, BC – Vancouver beer blog Love Good Beer reports that Granville Island Brewing is preparing to release a new limited edition beer with a name that may test the goodwill of another local brewery. Cloak & Dagger Cascadian Dark Ale is one of the first new beers to be released in BC using the “Cascadian” name since last fall when Steamworks Brewery started to issue cease and desist letters to breweries that used the word “Cascadian” in a beer name, claiming that doing so infringed on its previously registered trademark for the Cascadia Cream Ale brand. The resulting furor was defused when Steamworks indicated that it was willing to issue a $1 lifetime license to any craft brewery in North America that wanted to market a beer in BC with Cascadia or Cascadian in its name. However, as noted by Walter Cosman, President of Steamworks, in a Love Good Beer post about the licensing offer, it did not apply to Granville Island. This exception was apparently made due to the brewery being a subsidiary of Molson Coors, and therefore not considered by Steamworks to be a “craft brewery”. 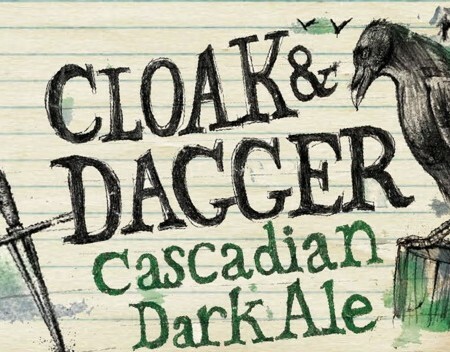 A release date for Cloak & Dagger Cascadian Dark Ale has yet to be announced. It is unknown at this time if Steamworks intends to raise any legal objection to its release. Well Cascadian Dark Ale is s TYPE of ale. Whereas Cascadia Cream Ale is the Brand Name of a Cream Ale (Cream Ale being a type of Ale).